Are you looking for a perfect gift this holiday season? We love giving flowers and plants, but hate the pots that most stores use! They look so cheap, and not at all festive! The Flower Pot Sox (which we received for review) are PERFECT to cover those unsightly or boring pots! They come in 4 sizes, so you know they are going to fit-- no matter what! The holiday designs are fantastic and perfect for creating a festive mood! We love how stretchy the fabric is! 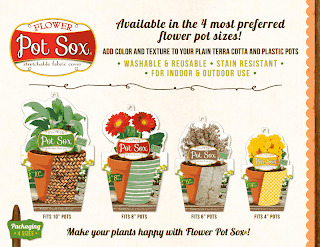 We also love that they are packaged so adorably, that you could easily give the Flower Pot Sox all by themselves! And don't forget their fabulous wine bottle covers!!! 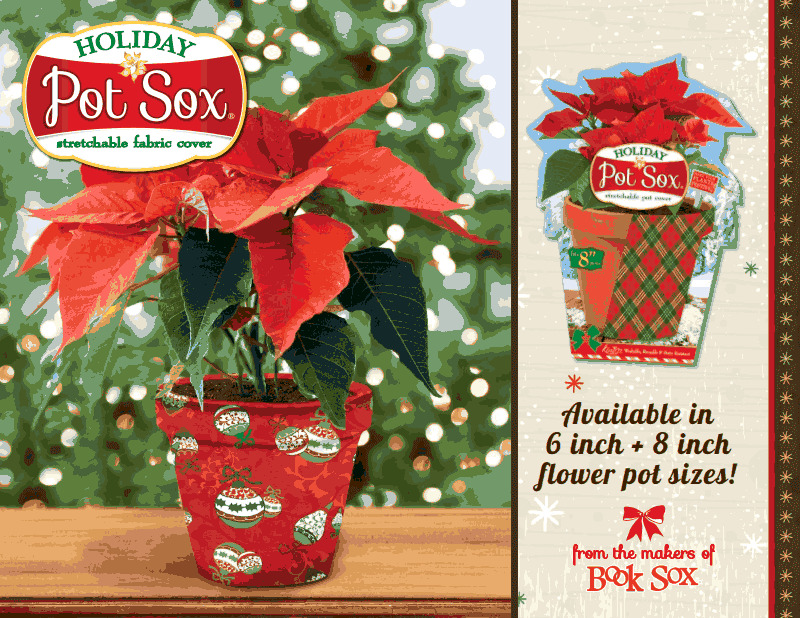 Want to win your own set of Flower Pot Sox? Enter below! I like the Blue Snowflake Holiday Flower Pot Sox. I like the Winter Plaid. 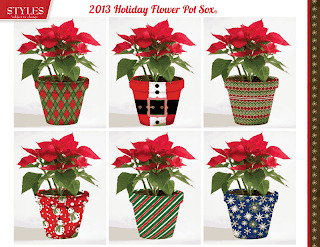 I love the santa suit best & that would be perfect for my poinsettia! I like the Blue Snowflake. I like the Santa suit. These are very clever and cute. My pots would benefit with some dressing up. I like the Blue Snowflake design the best. I like the candy stripe design. I like the candy stripe. I like the blue snowflakes! I like the Basket Weave design. I love the Blue Snowflake Holiday Flower Pot Sox..